We will be starting our Macaron Classes soon. 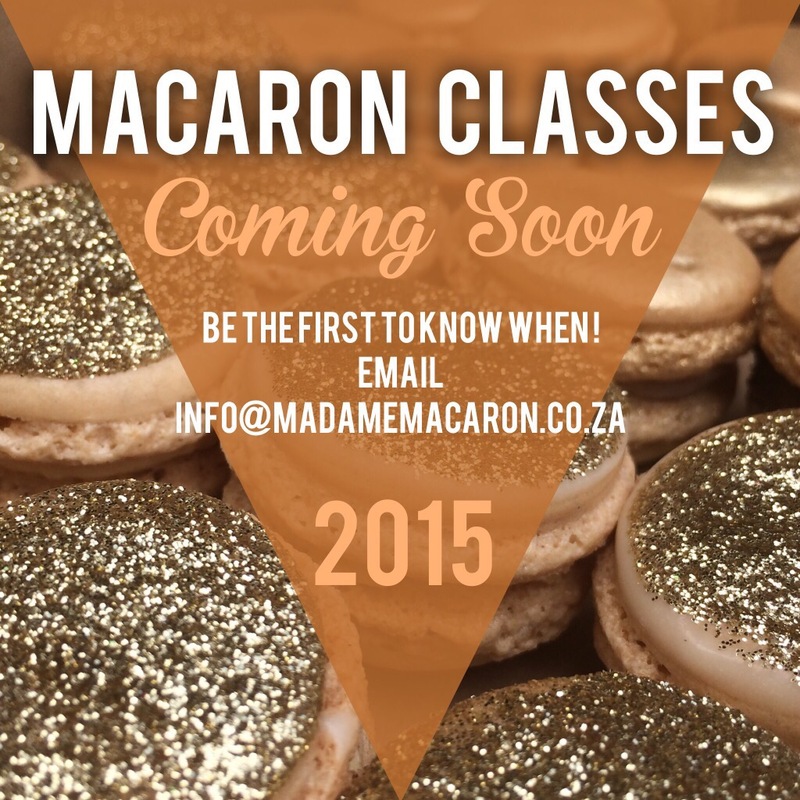 If you would like to know when and where the first classes will be held send us an email on info@madamemacaron.co.za or leave a comment below with your email address. For now classes will only be held in Durban. Please let me know when the macaroon classes will be and how much they will cost.